Sales, sales, sales! As small business owners – you love getting sales! The only question you have is…how do I make more and more sales? 4 free and simple tips to increase sales in your retail business. Bad news first – there is no one perfect answer. Good news is – if one technique doesn’t work? Try, try and try again. The pay-off is worth it! So naturally, some sales techniques apply better to some business types i.e. the same technique for a small carpenter who makes bespoke wooden sofa’s will indeed differ to the technique employed by a tomato seller in the market. For the sake of this article – picture yourself in a grocery or a clothing store. All stores of this type are the same right? Wrong! We have all experienced it. We walk into a store and walk through the aisles but nothing really catches our eye, we exchange a pleasant smile with the store owner/assistant and then walk straight out the door. Yes, to a large extent that is true but sales is all about that. It’s helping the customer along the buying process and getting them to buy more from your business. So, what were the differences? Did you notice the music, the greeting, the layout of the products, the handing you a basket, the sharing of the ‘special offer’ news? All these form part of various sales technique that supermarkets and retailers globally will spend millions of dollars on! Why this heavy spend on Visual Merchandising? The answer is simple - small changes can sometimes make the difference between a successful small business that generates profits vs. another small business that is barely keeping afloat. Countless times I have walked into stores to see badly arranged stock and no polite interaction from the sales assistant. Have you considered that just a simple sentence to advise a potential customer of a special deal could increase your sales 10 fold! That sentence could be all the difference between stock piling your products or selling your products quickly. As customers peruse your store, they rarely look all the way up and down the shelves, their eyes rest at eye-level and they scan the products as they walk up and down the aisles. They will be picking up this stock more often and your profits may grow or at the very least you can clear your inventory for new stock. Line up the boxes or packages. Customers want to see that you care about the products they are buying with their hard earned cash, so they should at least be presented well to them. I noticed the difference in a country I visited recently, in one part of the market they just stacked a pile of second hand clothing on the floor so if a customer wanted to buy something, they would have to dig through everything to find the right item. 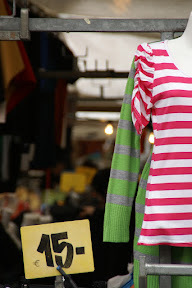 The other side of the market, they invested in a rail and showcased the clothing. Guess which sold more – the railed items of course! The customer saw neatly arranged clothing and even if they were not necessarily looking for some clothes – something caught their eye and they were making purchases. How many times have you been in a clothes store just staring at that jacket you probably shouldn’t buy. Then the sales assistant comes along and suggests – ‘why don’t you just try it on?’ Oh, as soon as you put it on, you know you’re in trouble and already pulling out the cash to pay. The new cloth feels great, the sales assistant pumps your ego by saying how great it looks and even you see it. This jacket will be great for so many activities you will probably never do. But, before you know it, you have a new jacket and the store has your money. This is a great selling tactic. In summary, a simple change can help you increase your sales and ultimately generate more revenue and profitability. Why not try these simple steps today and tell us the results! We would also love to hear your comments or opinions or other strategies on how to sell more in your small business.